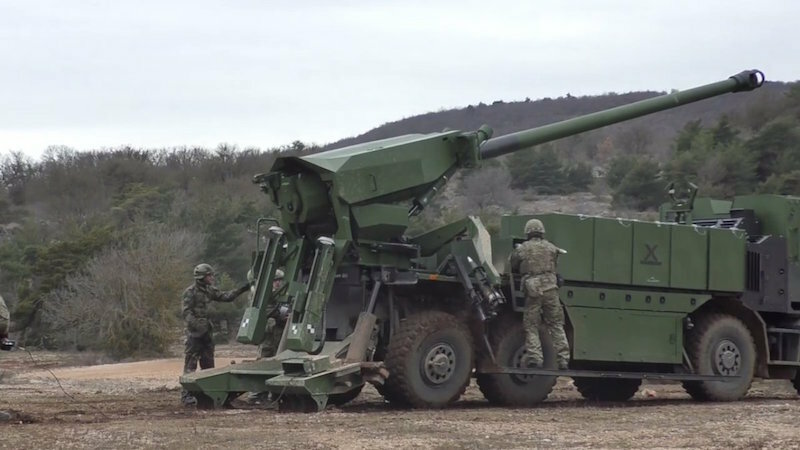 Systematic has been contracted by the Danish Defence Acquisition and Logistics Organisation (DALO) to deliver a new fire support capability for the Danish Army’s latest artillery systems. The new function builds on the Fire Support Module developed for Systematic’s SitaWare Headquarters solution and will significantly shorten the sensor-to-shooter engagement cycle, among other benefits. “The threat posed by counter-battery fire on the modern battlefield necessitates the ability for artillery systems to ‘shoot-and-scoot’ while maintaining accurate targeting,” explained Hans Jørgen Bohlbro, Systematic’s Vice President, Defence Product Management, “One of the benefits of the new function is the ability for artillery systems to quickly conduct fire missions and redeploy before they can be engaged by enemy fires”. The new capability enables fire mission data – first generated by a forward observer and passed to the gun crew via a joint fires cell or similar element – to be digitally transferred into an artillery fire-control system (FCS), where the ballistic calculations are made. Although the process will do away with a man-in-the-loop for entering the fire support data into the FCS, there will always be operator verification before the mission is carried out. The Danish Army is rolling out the SitaWare suite of software across all levels of the battlefield, in the artillery fire support scenario the forward observer and gun crews will be equipped with SitaWare Frontline, while the fires coordination component utilises SitaWare Headquarters. Under the contract, Systematic is scheduled to deliver a fieldable solution in the 2020 timeframe, with integration and firing trials taking place in 2019. Ultimately, the new capability will be deployed on the Danish Army’s new Caesar self-propelled howitzers and Cardom 10 mortars, which will be integrated on Piranha V armoured vehicles. Systematic A/S, established in 1985, develops software and system solutions to customers in both the public and private sector. Today, the company is the largest privately-owned software company in Denmark, with solutions sold to customers in 50+ countries. The company has 900+ employees and is headquartered in Aarhus, Denmark, with offices in Copenhagen, Australia, Finland, France, Germany, New Zealand, Singapore, Sweden, Romania, the United Arab Emirates, the United Kingdom and the United States.